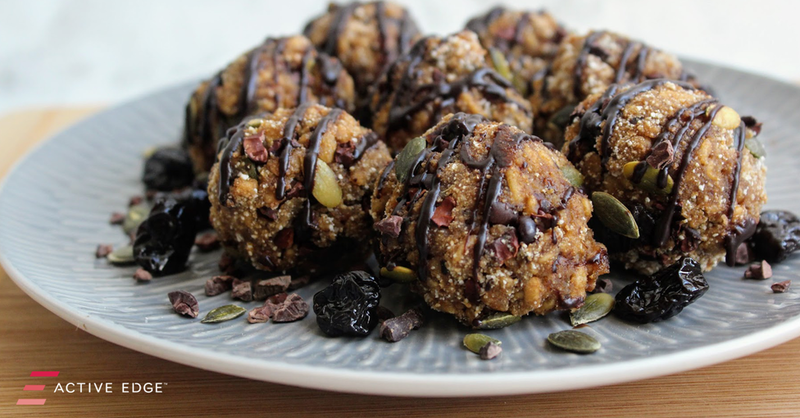 These protein energy balls from SpamellaB are a great on the go snack. Make a batch, keep them in your fridge and your stocked with healthy nutritious snacks for the week. Mix together the oat flour, protein powder, dried cherries, pumpkin seeds, cacao nibs and cinnamon in a bowl. Gently melt the coconut oil, nut butter and maple syrup then pour this into the dry ingredients. Mix well to combine then divide into about 10 pieces and roll into balls. Drizzle over some dark chocolate then chill in the fridge for 3 hours – then you’re ready to serve!